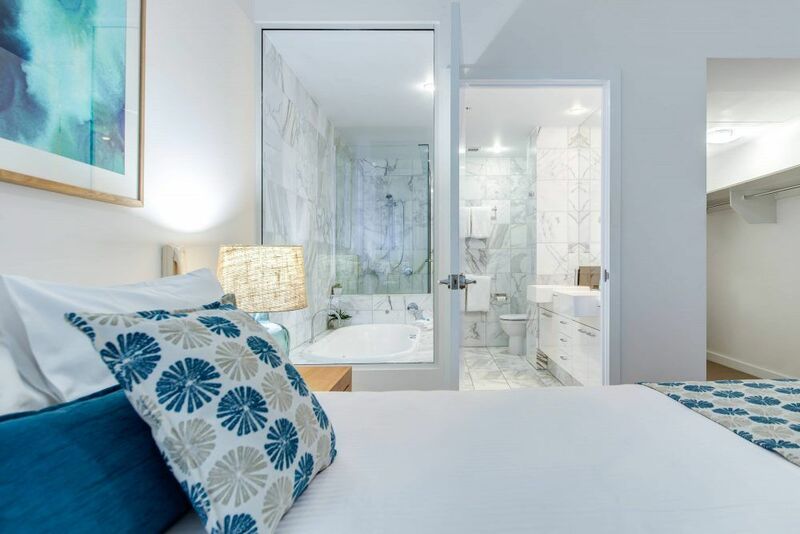 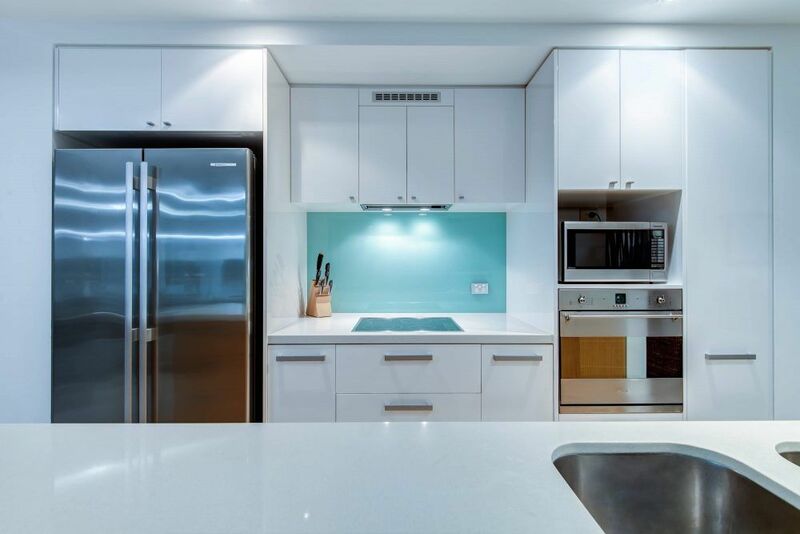 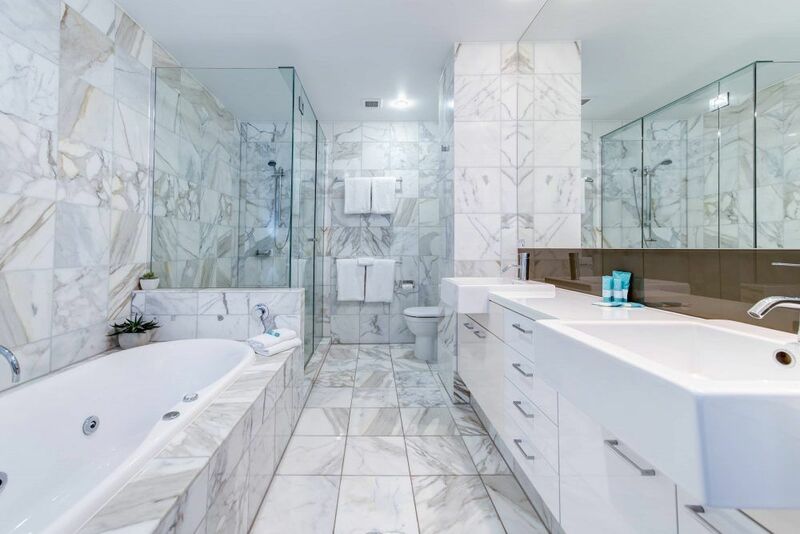 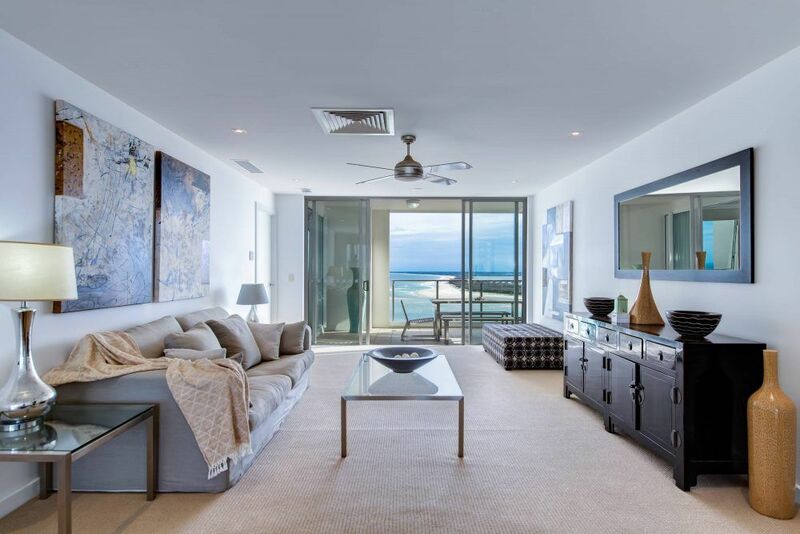 Penthouse 1113 is uniquely designed with its extended balconies providing exceptional views stretching from Moreton Island in the east across the shipping channel, Bribie Island and the Pumicestone Passage, and across to the Glasshouse Mountains in the west. 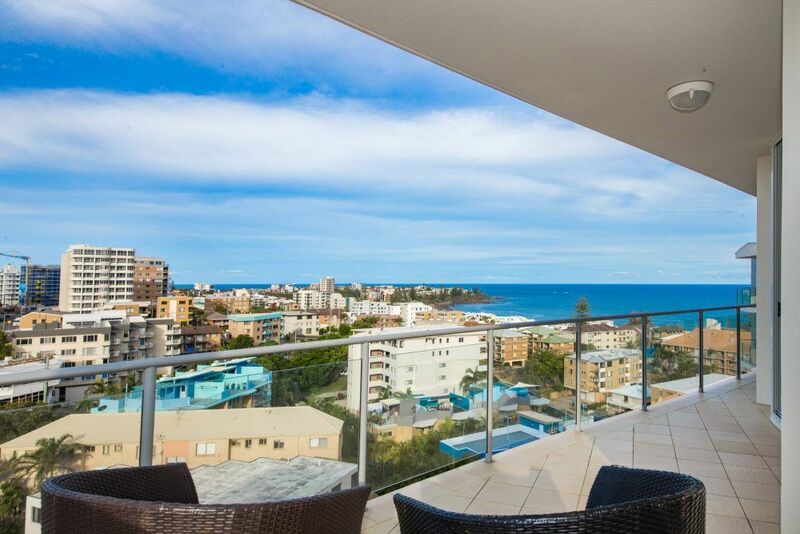 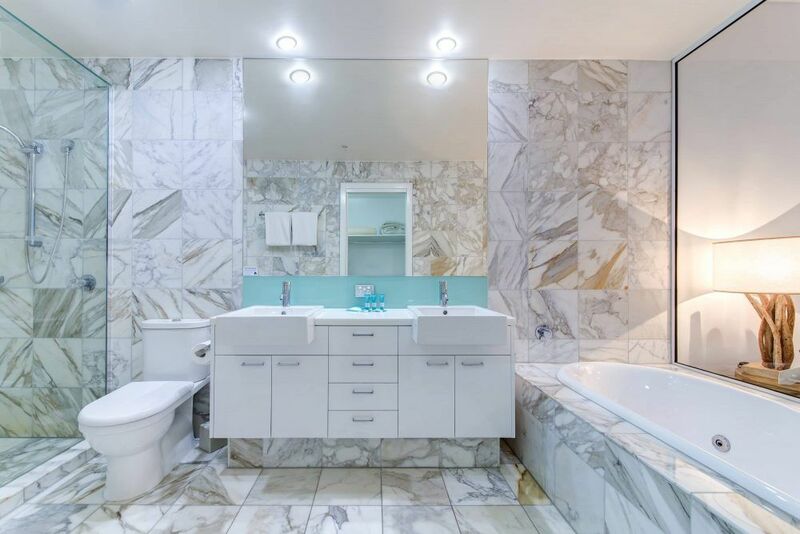 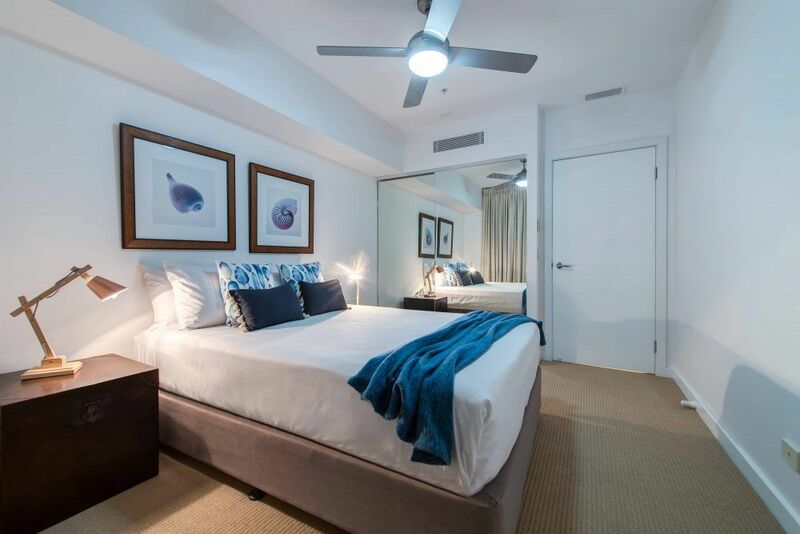 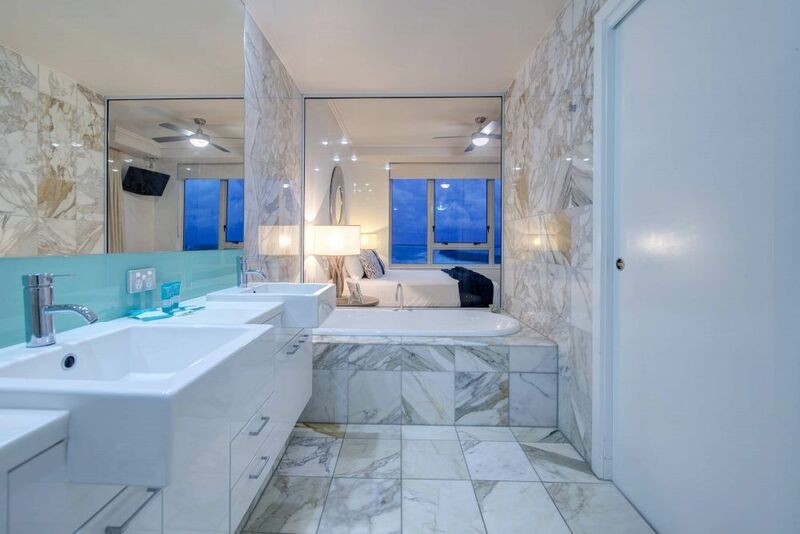 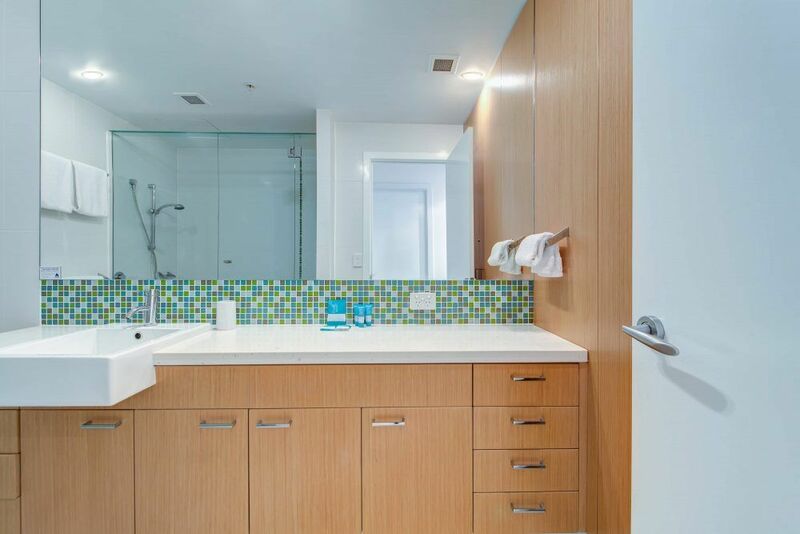 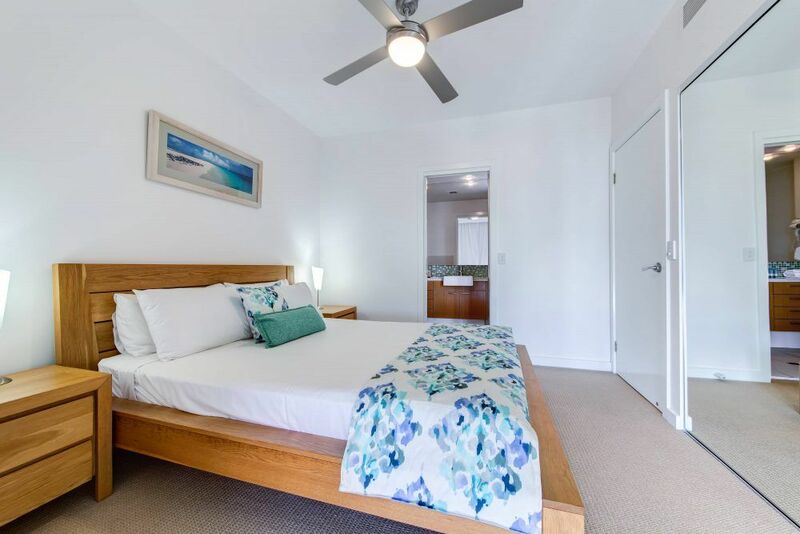 This penthouse has 3 bedrooms, three bathrooms and each bedroom opens on to a balcony with great ocean views. 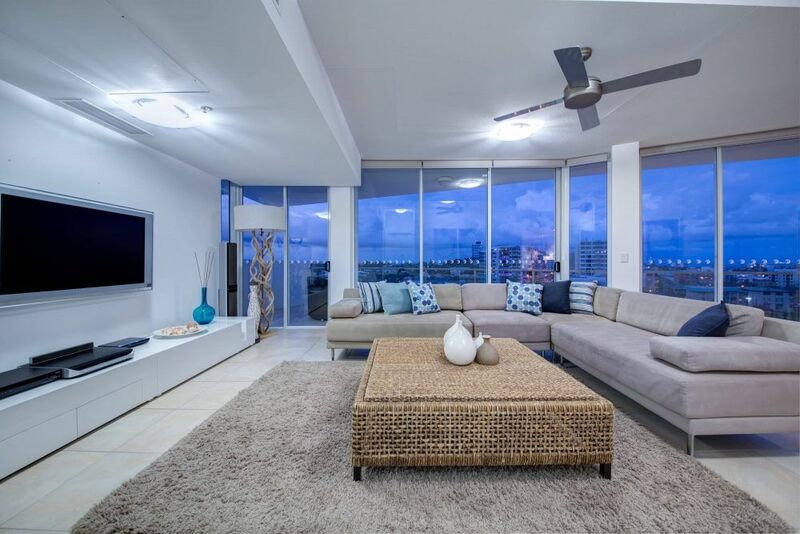 Dual living areas gives this penthouse a superior feeling of spaciousness and room to relax. 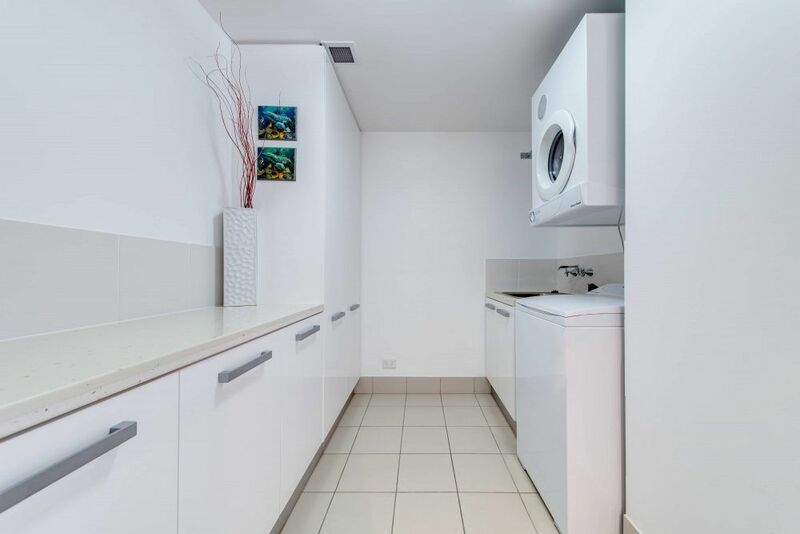 The perfect holiday apartment, Penthouse 1113 is fully self contained with an extensive kitchen and large laundry. 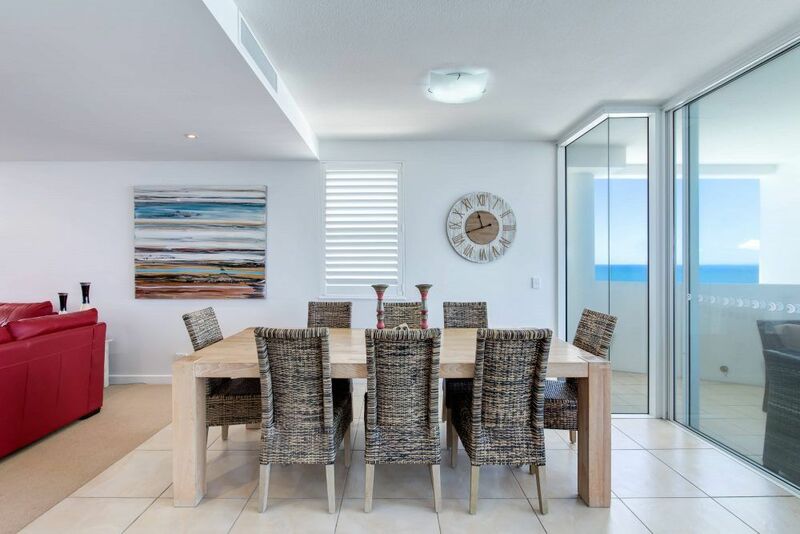 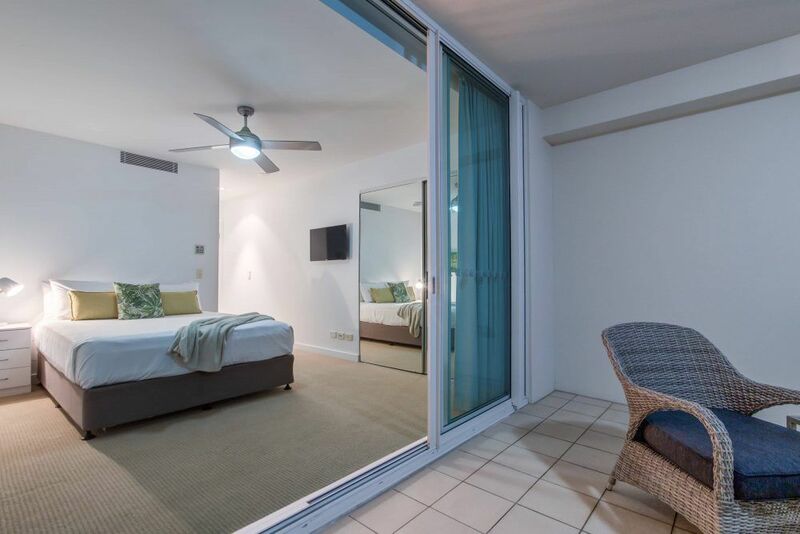 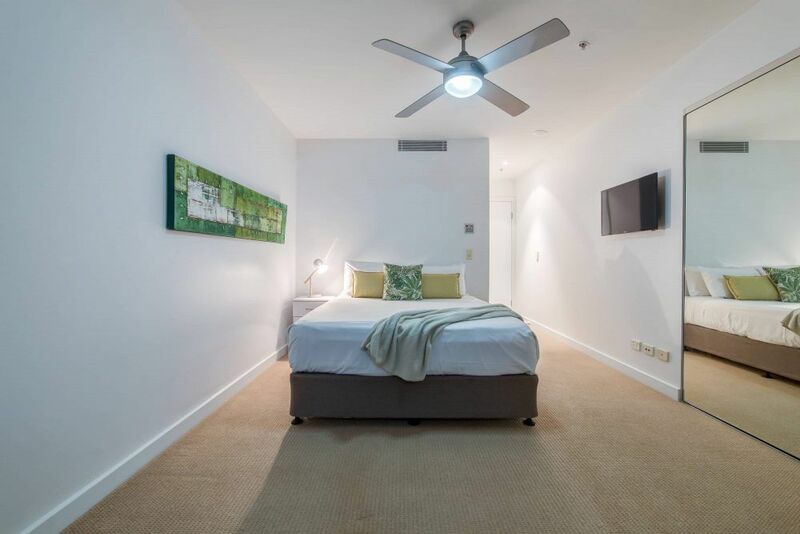 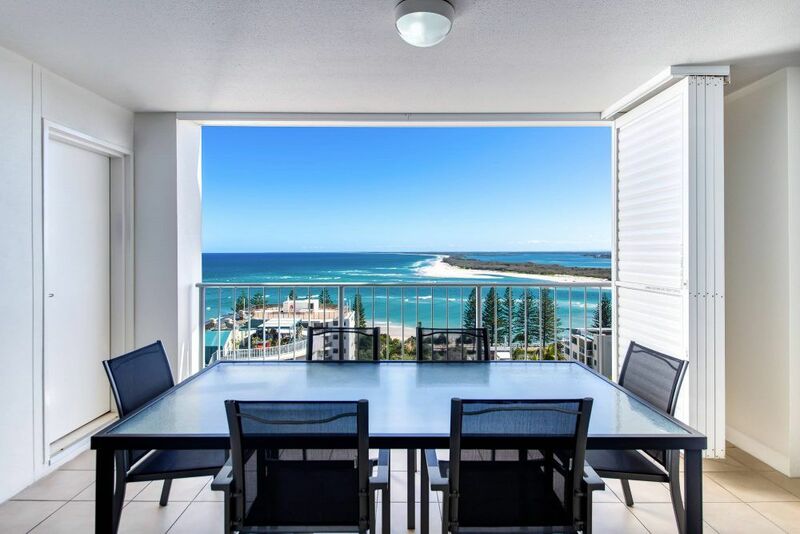 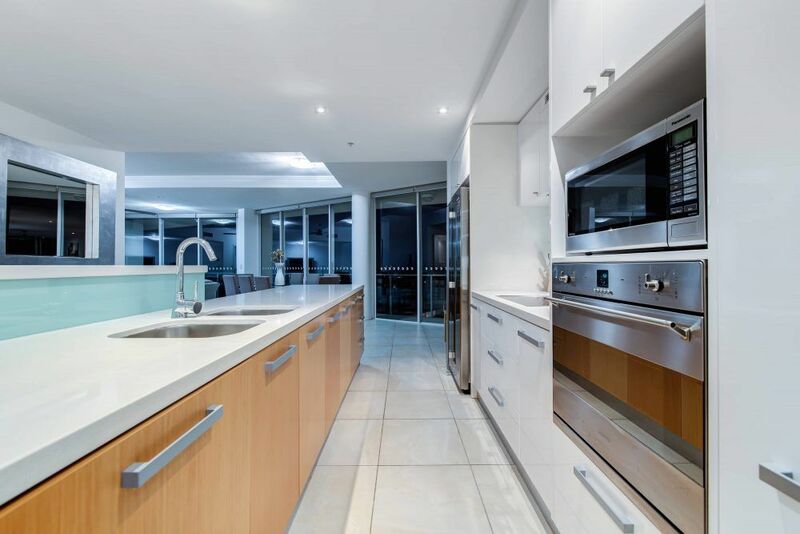 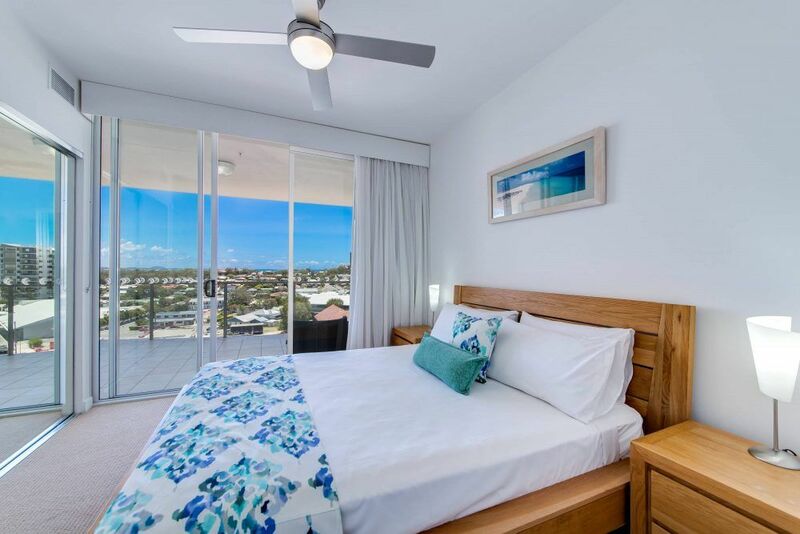 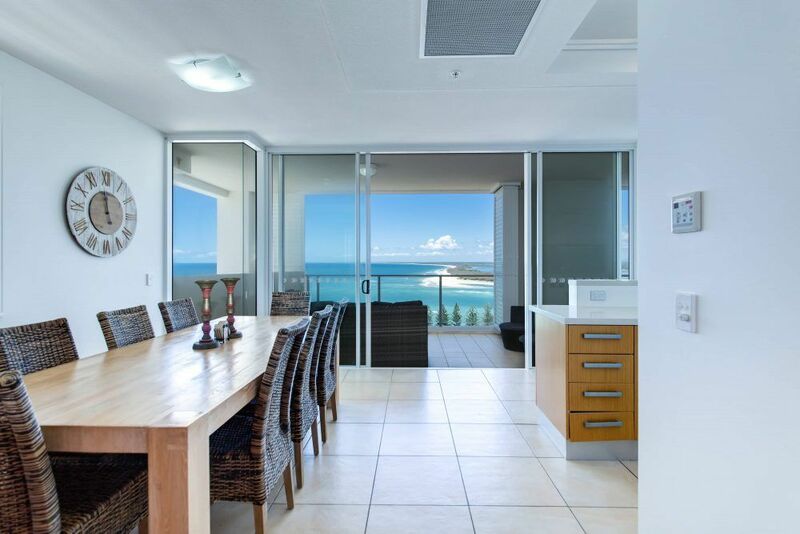 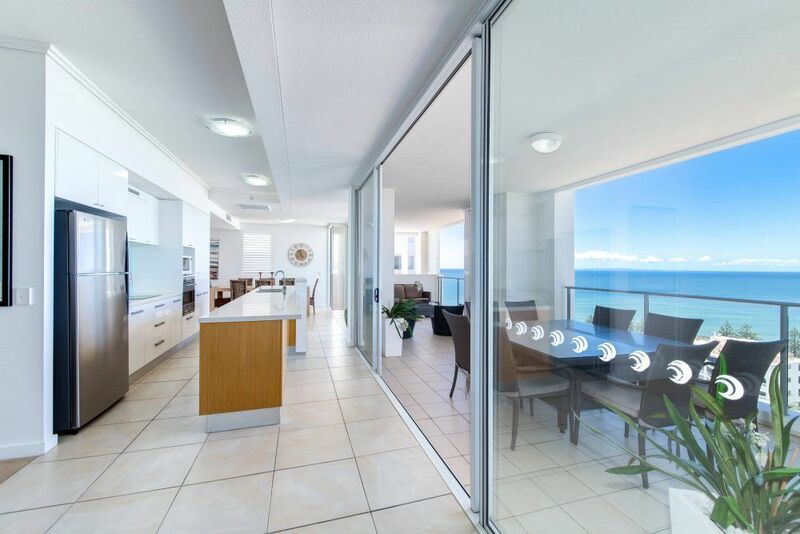 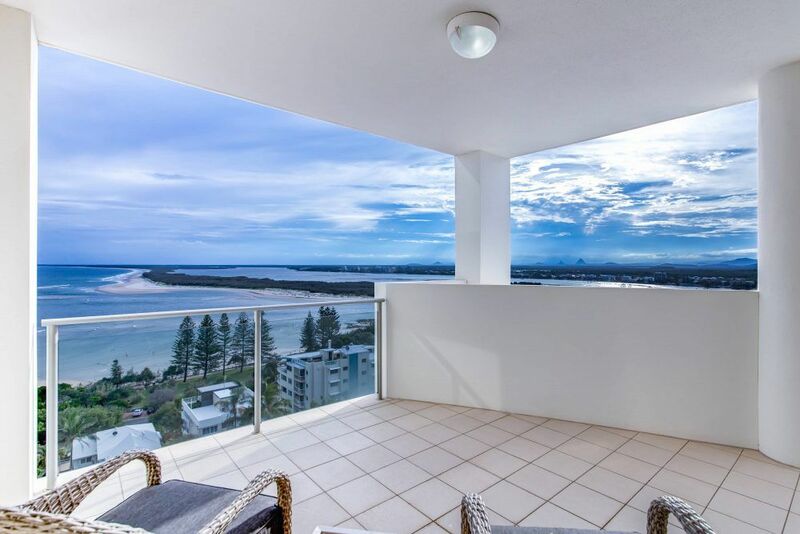 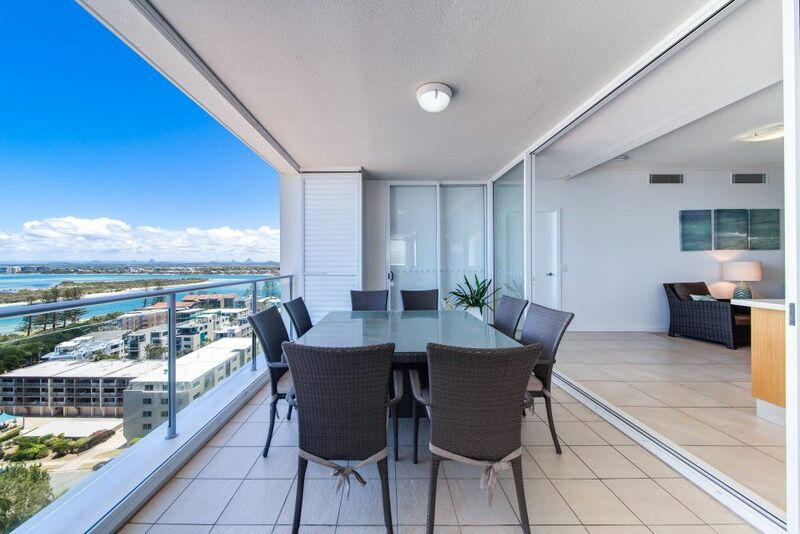 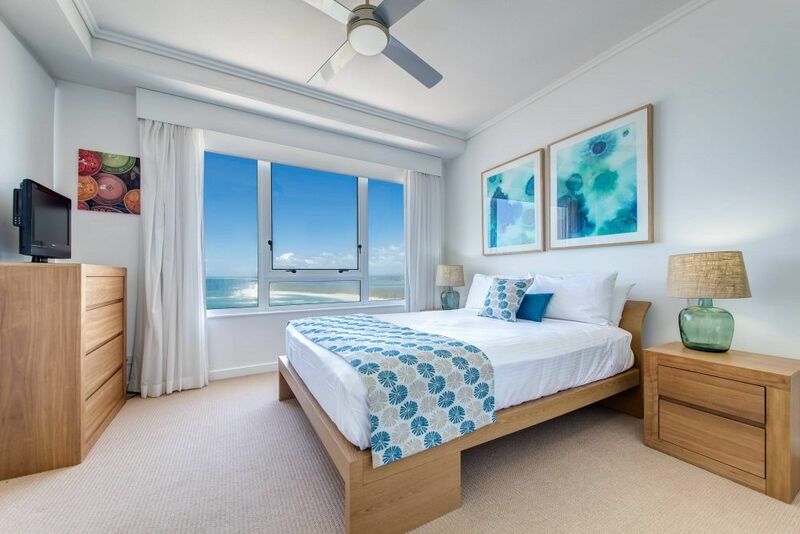 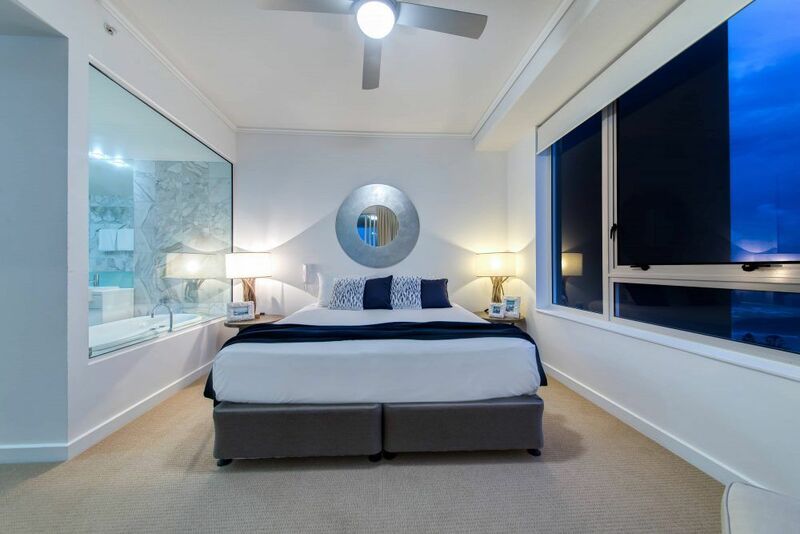 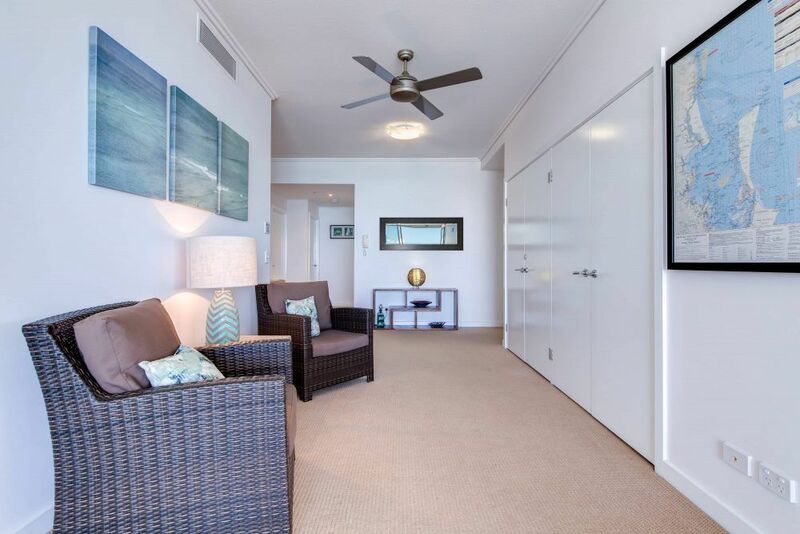 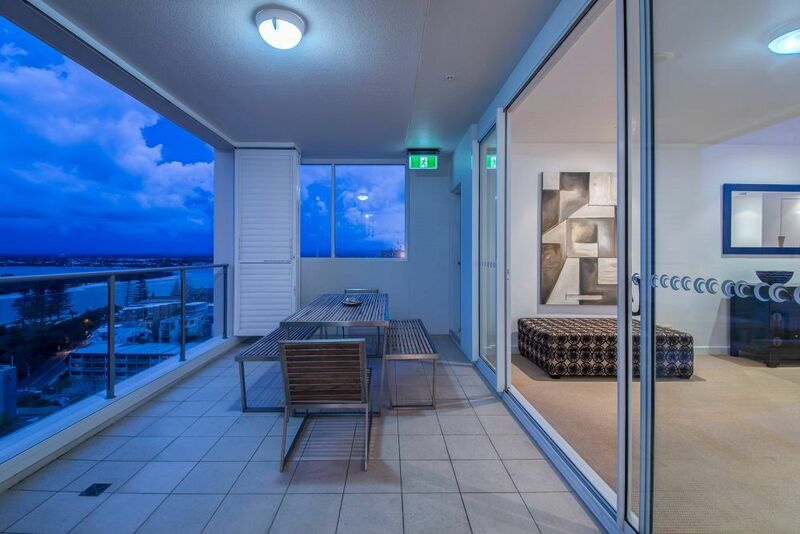 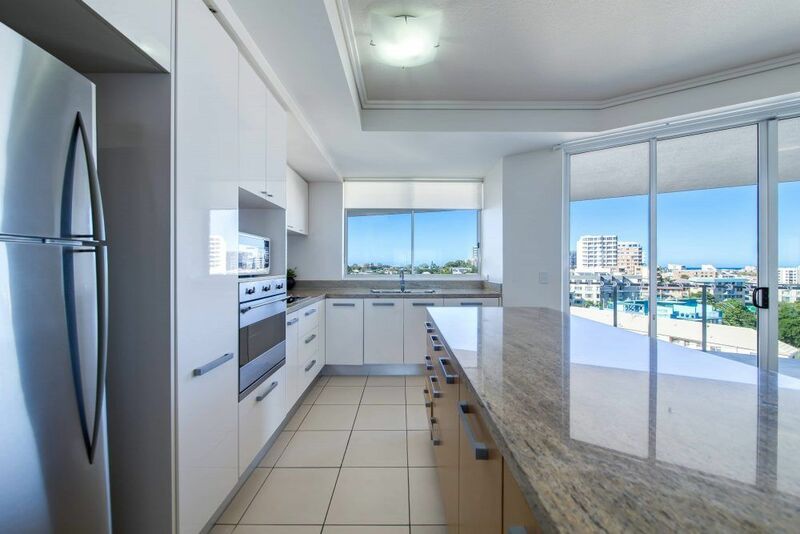 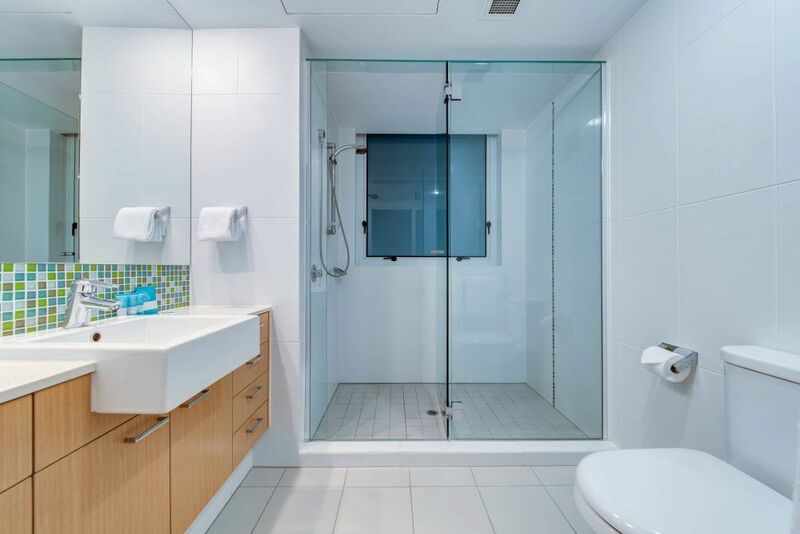 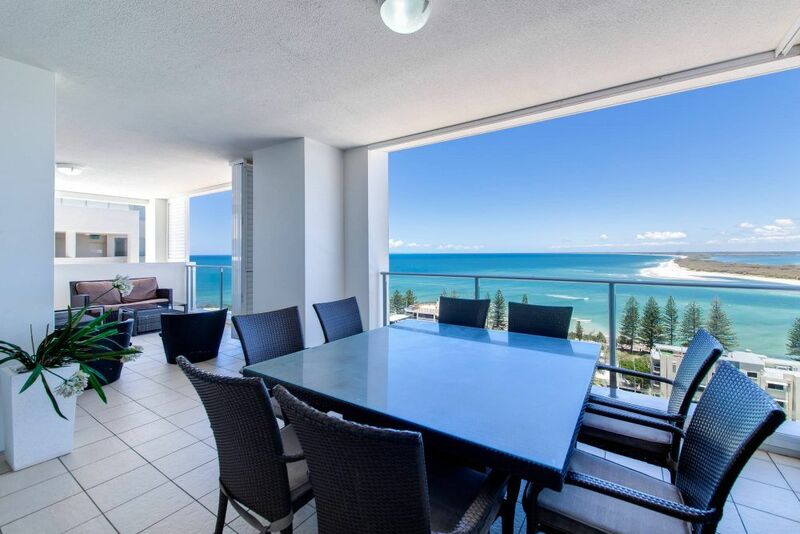 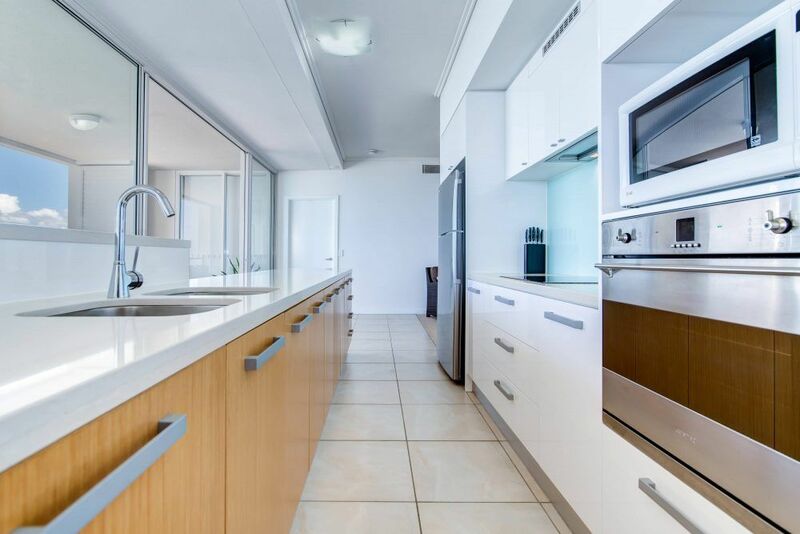 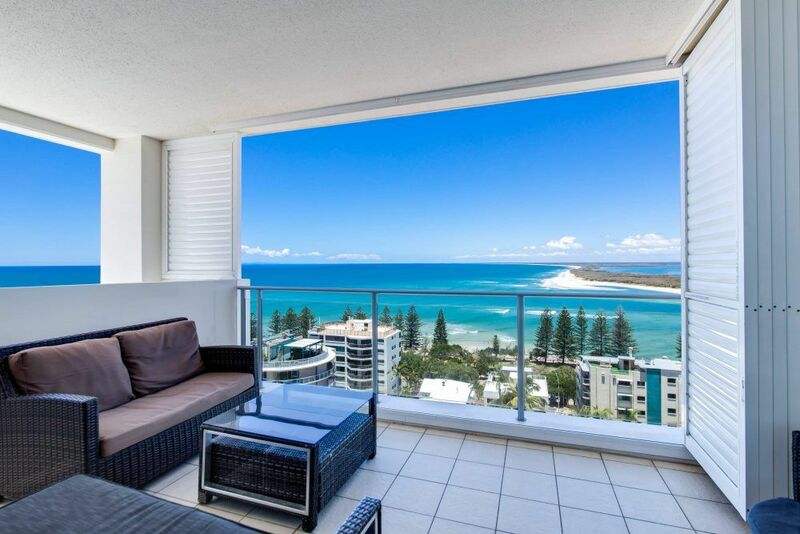 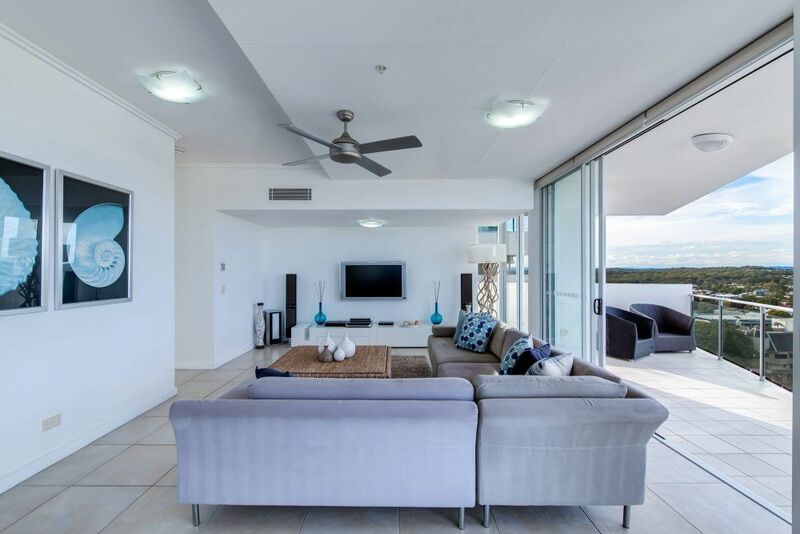 Penthouse 2111 is uniquely designed with its extended balconies providing exceptional views of Kings beach and the northern coastline, also views across to Bribie Island and the Pumicestone Passage, and over to the Glasshouse Mountains with its fabulous sunsets. 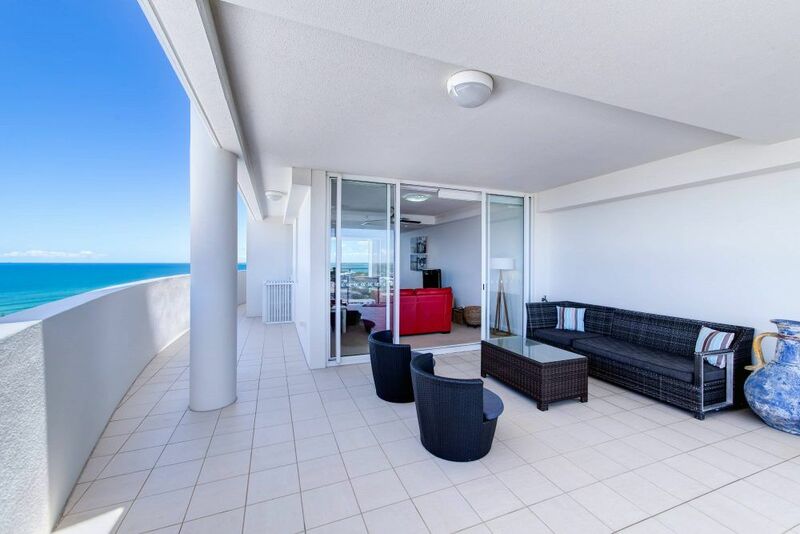 This penthouse has 3 bedrooms, three bathrooms and each bedroom opens on to a balcony with great ocean views. 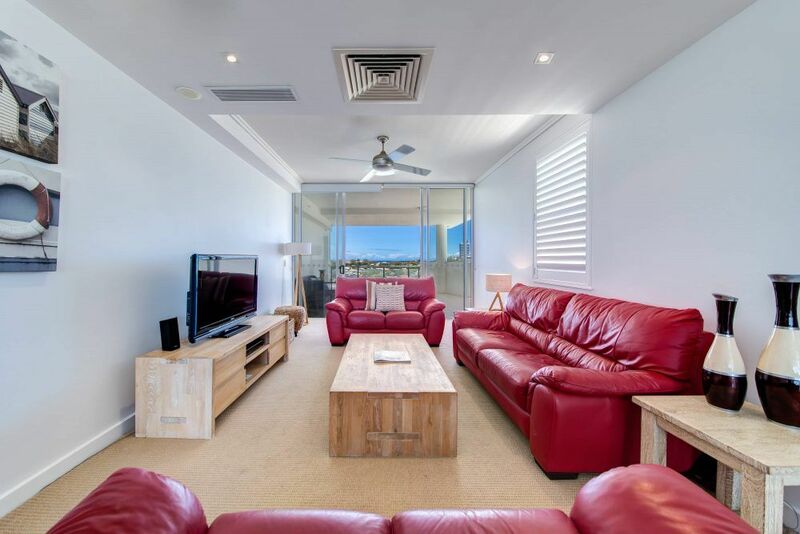 The separate lounge and family room make this an ideal apartment to spread out and relax. 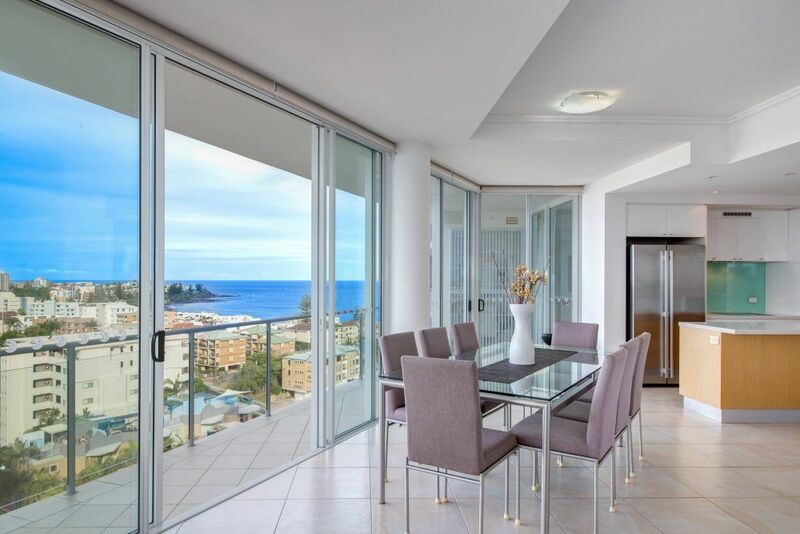 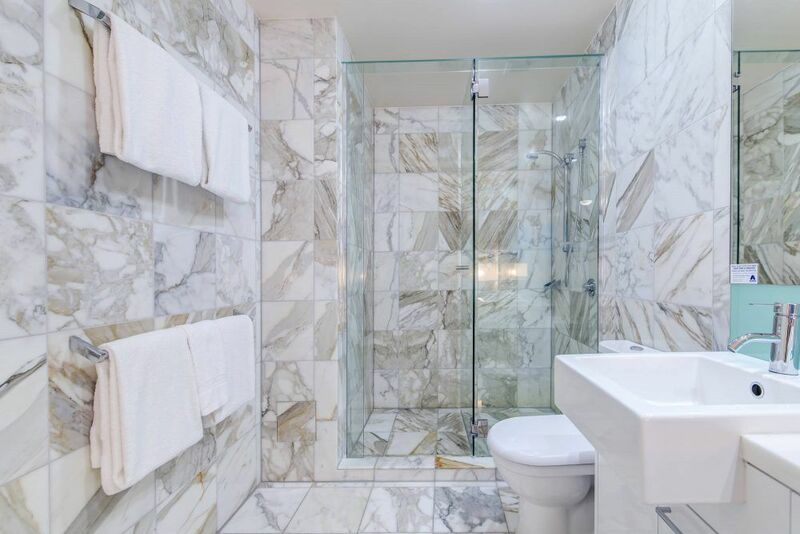 The perfect holiday apartment, Penthouse 2111 with its private lift lobby is fully self contained.